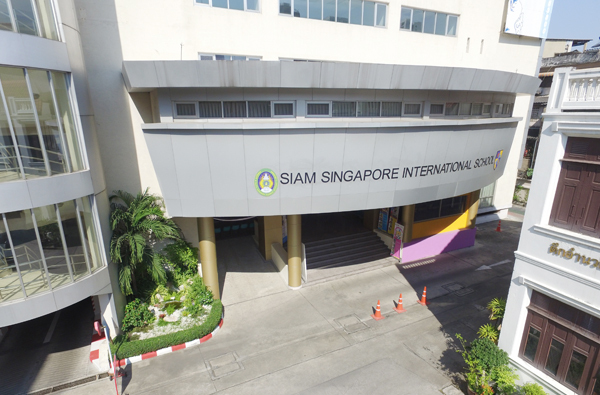 Siam Singapore International School (SSIS) being the first Trilingual International Demonstration School in Bangkok, Thailand is managed by RVi Academy in partnership with Valaya Alongkorn Rajabhat University under the Royal Patronage since August 2013. We are a member of the RVi Group and follow the Singapore-UK Curriculum. The RVi Group is a Singapore-based group of companies which provides educational and training services in over 8 countries in Asia including Cambodia, Indonesia, Laos, Myanmar, Singapore, Sri Lanka, Thailand, and Vietnam. Our network of partner organisations and the diversity of the group allows us to engage in a wide range of activities such as managing international schools, working with renowned institutions and universities, and management consulting. At Siam Singapore International School (SSIS), we provide progressive Singapore-UK education paired with an international perspective within a tri-lingual framework (English, Mandarin and Thai) conducted by qualified native speaking teachers. Serving grades pre-nursery to IGCSE, and striving to promote appreciation for the world’s diverse cultures through a comprehensive curriculum of Languages (English, Mandarin, Thai), Mathematics, Science, Information Technology and Social Studies. Our mission includes the achievement of academic excellence by promoting critical thinking, concept based learning, and community consciousness. At Siam Singapore International School, we believe that cultivating 21st Century Competencies in our students will empower them to become tomorrow’s responsible global citizens. These competencies, together with instilling Thai traditions and culture, will act as catalysts for stimulating an environment conducive for learning within the Singapore-UK educational system. Conveniently located in the center of Bangkok along Petchburi Road (Ratchathewi District), our modern building is efficiently designed for learning in a secure environment creates a “Home Away from Home” for the students. At Siam Singapore International School, we believe that one of the most important gifts a child can receive is an excellent education with strong character building. We cordially invite you to come and visit us.